Tisanes and herbals are often referred to as tea, however these drinks normally do not contain any camellia sinensis (tea). Instead they are made from seeds, leaves, roots, flowers, bark, fruits and may also be referred to as infusions or botanicals. There are a huge variety of tisane and herbal drinks since it seems almost anything that is safe for human consumption can be infused (soaked in hot water) or decocted (heated in water to a boil allowing evaporation of much of the water). Tisanes and herbals are consumed around the world offering a great many tastes, aromas, and flavors. Some originated many hundreds or thousands of years ago while many are more modern attempts to offer new tastes or capitalize on popular fads. Rooibos has been consumed in South Africa for hundreds of years by native people and European settlers. Native to the Fynbos region of South Africa’s Southwestern Cedarburg Mountains, Rooibos is a tisane produced from finely chopped Aspalathus linearis of the legume family. This drink enjoys growing popularity around the world and makes a great base for a naturally caffeine free drink. 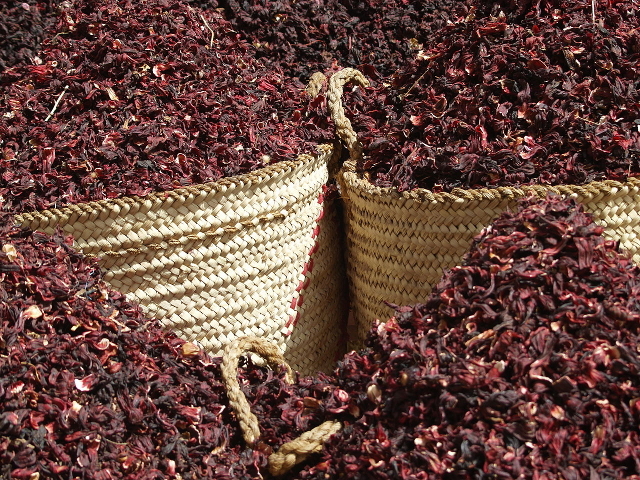 Karkade, also known as Hibiscus Tea, and a myriad other names, is consumed around the world in places as diverse as Australia, the Middle East, the Caribbean and parts of Asia. It features a tart, cranberry like taste and deep red color. The first consumption as a drink is difficult to pin down but it is noted as being edible as far back as the late 1600’s. More recently one can thank Celestial Seasonings for increasing awareness of this drink, marketed as “Red Zinger” starting in 1972. Paspanguwa, also known as “Five Potions” comes from Sri Lanka and is considered to be an Ayurvedic remedy to tread colds and fever. In fact, the Sri Lankan Government setup the Sri Lankan Ayurvedic Drug Company in 1969 offering, among other things, Paspanguwa which it considers a drug (Fernando, 2009). The name “five-potions” comes from the five ingredients (though others are often added), Mollugo cerviana, Solanum virginianum, Coriander seed, Long pepper, and Ginger. It is often served with a sweetner. 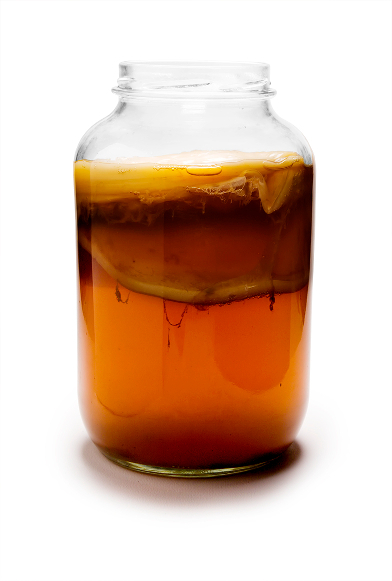 Kombucha, unlike the other drinks discussed, is actually made from the tea leaf, and is not an infusion or decoction. Instead, it is sweetened black tea that has been fermented with bacteria and yeast. Originating in Northeastern China in the 1900’s, Kobucha became popular as a health drink although such claims haven’t been established and indeed the drink, when improperly prepared may cause severe side effects and death (Centers for Disease Control, 1995). In many cases tisanes and herbals became popular for their stimulant, relaxant, or sedative properties. These days many different tisane and herbal drinks are being consumed for perceived health benefits; everything from curing colds to curing cancer and everything in between. However, the health claims attached to most tisanes and herbal drinks have not been validated through rigorous testing and, since many are considered neither food nor drug, they are not routinely evaluated by the FDA or USDA. Further, no data had been provided to the FDA as of 2003 to support any claims of health benefits from tisanes or herbals (Nass, 2003). From our perspective, while there may well be health benefits to some herbal and tisane infusions, there may also be risks, especially from high consumption and drug interactions. Therefore, we prefer focus instead on the historical and cultural background behind tisanes, yet consume only a limited few. Centers for Disease Control. (1995, 12 08). Unexplained Severe Illness Possibly Associated with Consumption of Kombucha Tea — Iowa, 1995. Atlanta, GA, US. Fernando, N. M. (2009, 09 18). Sri Lanka Ayurveda Drugs Corporation – four decades of progress. Sri Lanka. This entry was posted in Types of Tea and tagged botanical, herbal, infusion, karkade, kombucha, liang cha, paspanguwa, Rooibos, tisane. Bookmark the permalink.